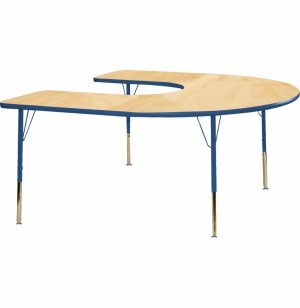 Edu Edge Horseshoe Activity Table 66x60"
Here is a great idea for an activity table. 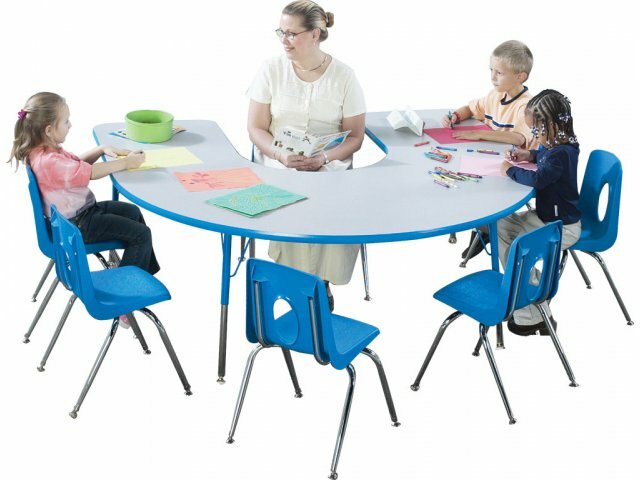 With this table, six children can sit around the table and all be close to the teacher sitting in the "inside" seventh place. 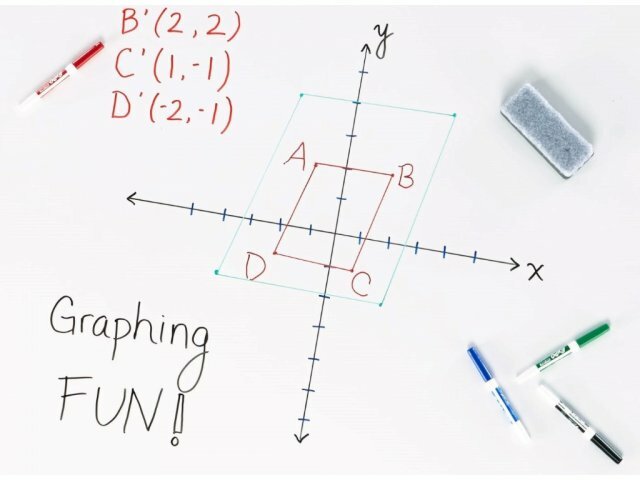 Unlike a rectangular table where some children will end up sitting far away from the instructor, everyone is close with this unique activity table. The fact that these activity tables are height adjustable adds to their flexibility. Activity tables need to be built to last and this model is no exception. Sitting on top of four eight gauge tough steel legs, the solid laminate surface is ultra strong and is design to remain looking like new for many years of daily use. True to their name, these activity tables are designed to resist all types of scratches, cracks, or chips. These tables come in a selection of great primary colors for educational appropriateness. These tables are very popular with daycare centers and nursery schools for their cheerful look, low price, and great durability. 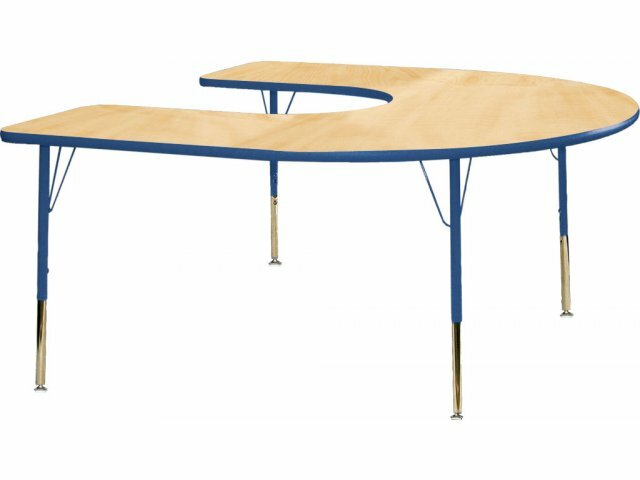 Attractive: Matching tabletop trim and leg uppers in seven Educational Edge colors. Stable: Self-leveling glides keep the tables standing sturdy. 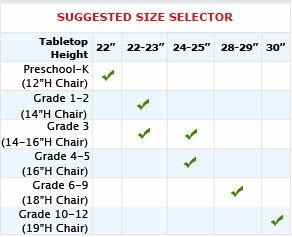 Choice of Heights: Tables are available in toddler height or standard height.